Cheerleaders have hectic schedules that can be hard to work around. 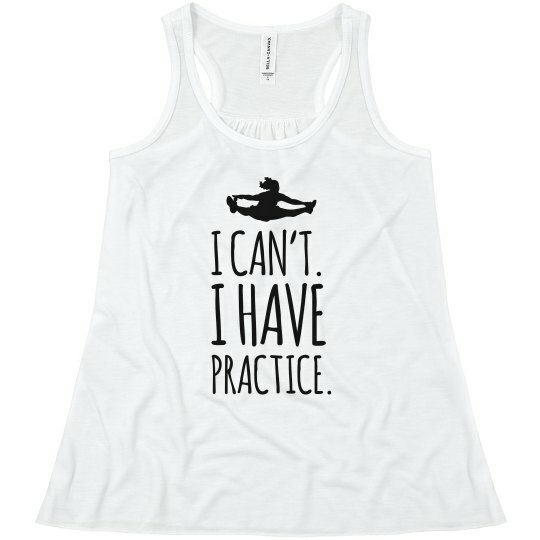 Some people just don't understand, so let this cheer themed tank top help you out. It is lightweight, so it can be warn when working out or during practice, and the trendy design will have your team wanting one too!